Who is Making your Bean Desserts? Hello my name is Mari welcome to Hill A Beans. I am passionate about changing the way we as a society look at food, nutrition, and wellness. I am a mother of 3 so I understand that we want to say yes to our kids when they want a snack. I feel we can reform the manner in which we eat. Diabetes and Obesity is at a record high, each one of us can stop this ‘madness’ by adopting a new way of eating; starting with our snacks. Go on, give us a try. Hill A Beans is the new way of looking at delicious snacks. We believe as Hippocrates did, “Let food be thy medicine.” With that in mind, we use whole foods that have been minimally processed, preferably not at all. Hill A Beans treats are a wonderful delicious alternative for your sweet tooth. Order a dozen of our mini cupcakes, you’ll be happy with your choice. This snack is a great as a gift. 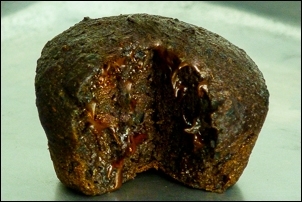 Guilt free, melt in your mouth, “the smart chocolaty treat”. All taste no Guilt! Diabetics and those with Gluten allergies can enjoy these too! What Products are in our Bean Black Bean Brownies? Hill A Beans, uses only the finest quality products 70% Organic. Our products are nutritious as well as delicious too! Kid Tested – Parent Approved! Why Beans instead of Flour? We use beans in our recipes instead of flour. No Gluten for those with allergies. There are numerous benefits to our ‘madness’. Beans are full in fiber, nutrition, protein and are low on the Glycemic index, which means that Beans do not spike your sugar level, if you are a Diabetic or know a Diabetic, this is very important to you. Beans are also said to keep you feeling ‘fuller’ longer. These are NOT empty calories. What Ingredients go into our Bean Desserts? 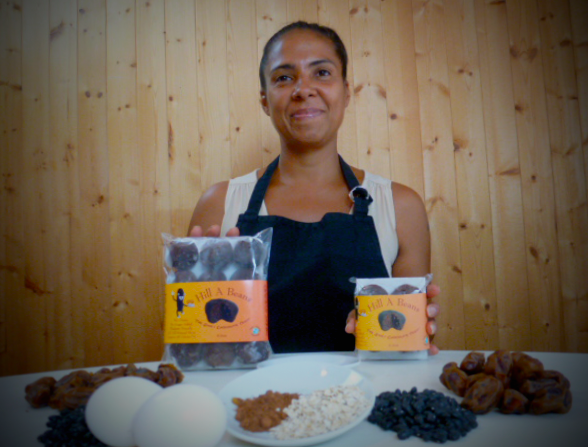 At Hill A Beans we use Organic Dates instead of sugar. The benefit of using Dates is they provide Potassium, dietary Fiber, Magnesium and Vitamins. Dates are a whole fruit, there are no refined sugars being used in our product. The rest of our ingredients are also healthy as well, such as whole foods of Hormone/Antibiotic free Eggs, Cocoa, Semi Chocolate Chips, Organic Oats, Organic Apple Sauce, Organic Coconut Oil and of course Organic Beans and that’s it! For Facts, Figures Download Nutritional Values HERE. Hill A Beans donates 10% of our profits to Iempoweru.org. A 501C(3) Devoted to helping children get a head start.